For Halloween, today a contribution by Chris Watson. 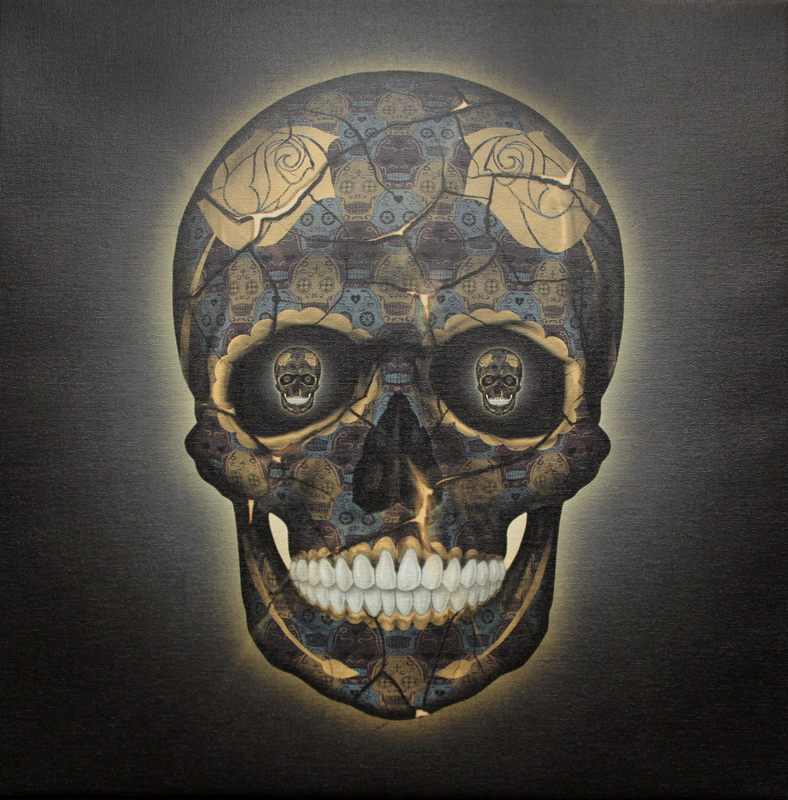 His latest Tesselation Art release is his Skull Series. It is a new triptych digital artwork composition inspired by M. C. Escher’s work in tessellation and infinity. A tessellating skull pattern is wrapped around a human skull. The eyes of the skull are scaled down versions of the entire image. This is then repeated infinitely. As TA fans will know, M. C. Escher is widely recognised as the father of tessellation. Both the theme of infinity and the use of skulls were commonly featured in his artwork. The tessellating skulls are decorated as calaveras – also known as sugar skulls. These are used in the Mexican celebration of the Day of the Dead (Día de los Muertos). Each of the three main skulls in the triptych have a unique decoration and color scheme. The behind the scenes gives an animated time-lapse overview of the entire design and development process in just 3 minutes. The write-up on this great piece of Tesselation Art can be found here. You can purchase your own day of the dead Tesselation skull print here.